These packages are tailored to fit the EG, DC2 and EK chassis only. If you have an 88-91 EF chassis or 90-93 DA Integra chassis please email us at info@k-tuned.com so we can put together a package that fits your older chassis. 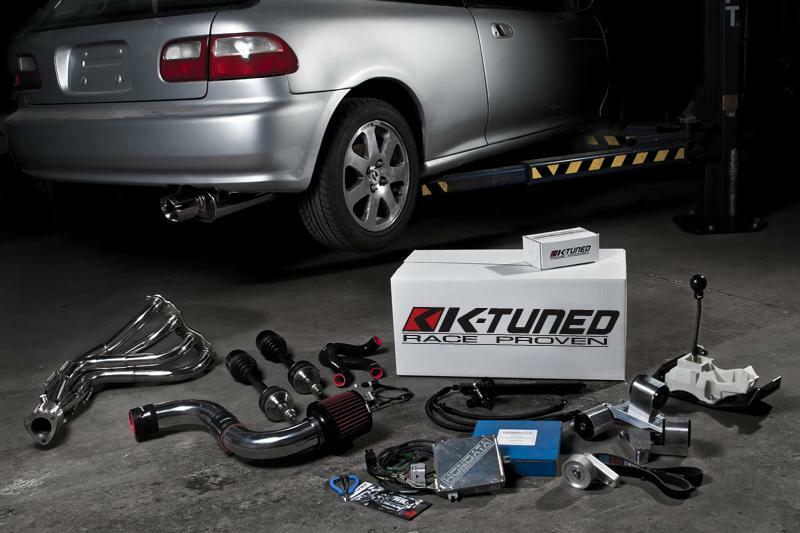 K-Tuned has created a series of swap packages that contain everything needed to get your K-swap project completed. With 4 packages available, we have done the work for you, laying out all the parts you’ll need to get your swap done right. From essentials, like mounts, axles, headers and conversion wiring to more detailed parts, like the fuel system, pulley kit and throttle cable kits. It’s all available in one place, K-Tuned. The parts in our packages have been placed in a particular order, showing what we install first and last when we do a swap in our shop facility. You can start with our “Swap Basics” package and add more parts later on as you need them. This is perfect for guys who are planning to spread their build out over time. Of course, you could also take the plunge and order our “Full Turn Key Swap” package. It contains everything you’ll need for your swap from start to finish. The only thing you need to provide is the motor. We’ve done the rest. So, are you ready to swap Honda’s greatest engine into your car? As with anything you buy from K-Tuned we offer all our customers FREE tech support via phone and email. We will happily guide you through your entire swap if needed to make sure you are happy with the parts you have purchased from us. A K-Tuned Representative will be contacting you to confirm and assist you with your swap package order. Please make sure to include a contact phone number in your customer information.